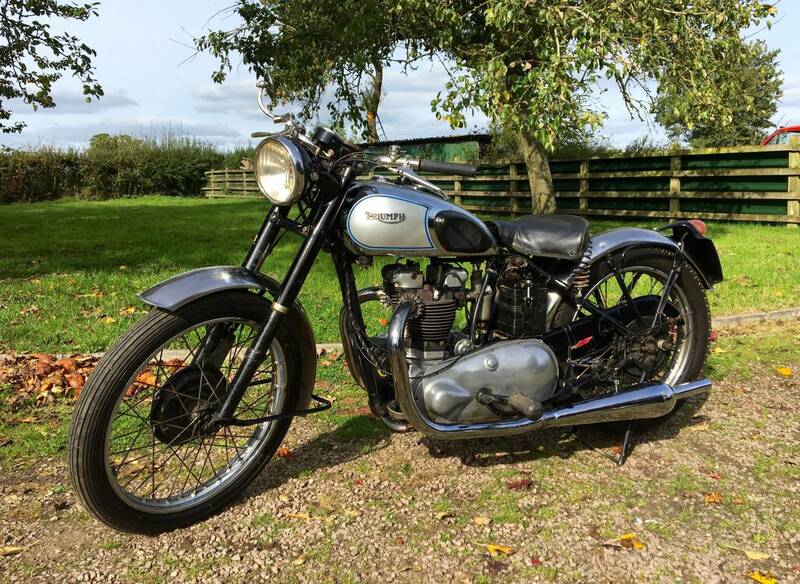 Triumph Speed Twin 1947 , In T100 Colour Scheme. 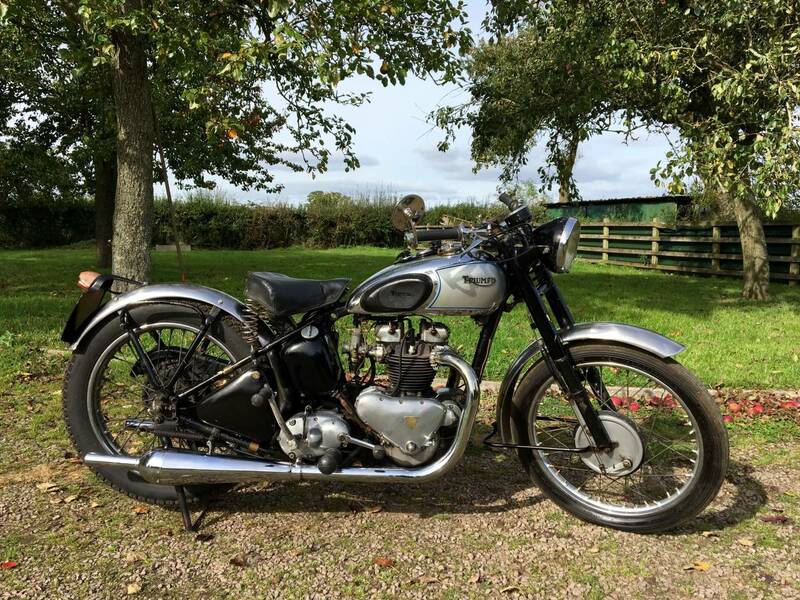 Currently Fitted With A Sweet Running Tiger 100 Engine , But The Original 1947 Speed Twin Engine Is Included , If You Would Like To Refit It , Then Could Sell on The Very Valuable T100 Unit . 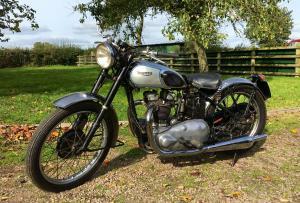 It Starts First Kick , Shows Great Oil Pressure , On The Oil Pressure Gauge And Rides Well Too . 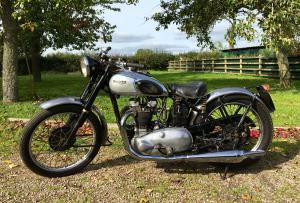 The Mudguards Are Not The Painted Originals But Replacements Are Easily Available , If So Desired . 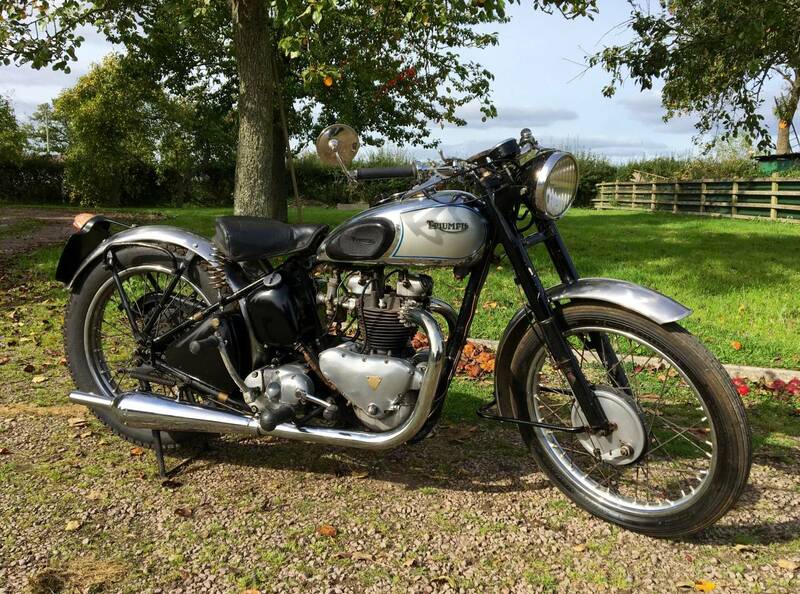 It's Also Fitted With The Prewar T100 Silencers , With Detachable End Caps , Which Used To Be Removed For Racing And Sounds Great . 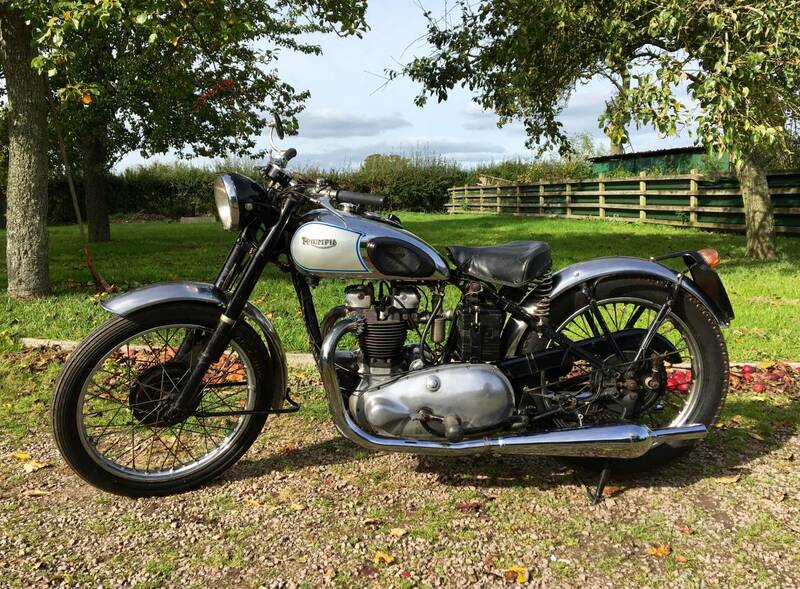 This Is A Riders Bike , That Could Easily Be Put Back To Original Spec ', If Required , Which Would Greatly Enhance Its Value , As Early Rigid , Instruments In The Tank Models Are Highly Sought After . 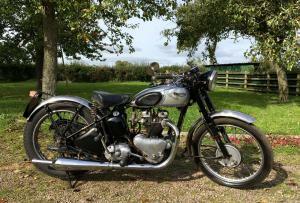 Tax And Mot Exempt And A Very Good Investment .